The French Tricolore is one of the most well known flags around the world. While it may seem like a simple and even unoriginal design today, the Tricolore was revolutionary at the time of its creation and served as the inspiration for many other flags. The history of the Tricolore starts in the first days of the French Revolution. As French citizens grew more wary of King Louis XVI’s actions and France’s financial situation, they began forming militias. Many of the militias adopted cockades (circular arrangements of ribbons that were popular in France at the time) as identifying marks. On July 13, 1789, the Paris militia adopted a blue and red cockade, influenced by the colors on Paris’ coat of arms. The next day, the Paris militia stormed the Bastille fortress, a place often associated with Louis XVI’s rule. Worried by Paris’ open rebellion, Louis XVI told his forces to stand down and visited the city in good faith on July 17. There are conflicting reports of whether the Marquis de Lafayette combined a white cockade with the Paris militia cockade as a symbol of the new National Guard or if Lafayette gave Louis XVI a Parisian cockade who then attached it to his royal white cockade. Nevertheless, the tricolor cockade became immensely popular with the French public. Per Lafayette’s suggestion, the leaders of the revolution adopted the new cockade as the “colors of liberty”. French ensign in use from 1790 to 15 February 1794. Despite the tricolor cockade becoming the de facto national symbol in the public’s mind, the “colors of liberty” would not be reflected in the national flag or war ensign for another year. At the request of rebellious sailors, the government added the colors to the solid white French naval ensign via a tricolor streamer in 1790. Not satisfied by the mere streamer, the sailors demanded that the tricolor be more prominent. On October 24, 1790, the ensign received a canton (upper left corner of the flag) with red, white, and blue stripes in a vertical arrangement, surrounded by a blue and red border. 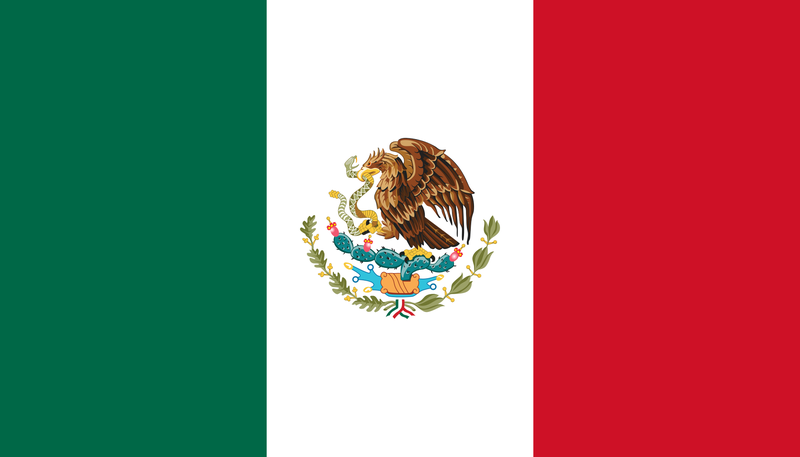 While the colors were in the opposite order that they are in now, this was the first time the vertical arrangement of three colors was used in a flag. On February 15, 1794, the colors were changed into their present order and adopted as the national flag for the remainder of the French Revolution. While the Tricolore was briefly replaced in 1815 during the Bourbon Restoration, it was reinstated in 1830 and remains France’s national flag to this day. The Tricolore had a profound effect on flags around the world. The “colors of liberty” spread beyond France and became known as colors of republican movements. They were adopted by nations such as Lucca (1803), Uruguay (1825-1828), the Dominican Republic, and Costa Rica. The design’s connection to the French Revolution also inspired independence movements around the globe to adopt vertical stripes. Ironically, it was the French colony of Saint Domingue who first used a vertical stripe flag to represent an independence movement; a blue and red stripe design without the white stripe which was considered symbolic of their French oppressors. When they won their independence and formed the nation of Haiti in 1803, the dual-color, vertically-striped flag became their first national flag. This spawned a whole family of vertically-striped, tricolor flags including Mexico, Belgium, Ireland, Italy, and Iraq (1959-1963). Today, the tricolor family includes many former French colonies in Africa who adopted the design such as Chad, Ivory Coast, and Senegal.